Pax Christi USA, which bills itself as the national Catholic peace movement, has capped a year of transition with the appointment of a new executive director, Notre Dame Sr. Patricia Chappell. Chappell, a former president of the National Black Catholic Sisters Conference, replaces David Robinson, who had headed the organization since 2001. Announcement of the appointment came yesterday in a press release. Speaking in a phone conversation with NCR, Chappell said she wants to use her new position to focus on integrating issues of racism with violence and economic injustice. “We just have to make sure that the anti-racism lens is brought to that conversation along with Catholic social teachings,” said Chappell, a member of the Connecticut province of the Sisters of Notre Dame de Namur. She said Catholics interested in social justice sometimes seem “fragmented” when it comes to issues of racism. Chappell’s appointment as the head of Pax Christi comes after a year of change for the peace group, which also moved its headquarters to Washington, D.C., from Erie, Penn., where it has maintained an office since 1986. Chappell, who holds a degree in psychology and social work from St. Joseph College in West Hartford, Conn., and a master’s degree in social work from The Catholic University of America, is set to assume her new role Nov. 1. In the Monday phone conversation, Chappell shared a little about her vision for Pax Christi and how she hopes to energize the organization’s some 400 affiliated local groups and about 600 affiliated religious communities to become “much more involved” in tying racism to each of the four priorities. Following is that conversation, edited lightly for space and context. NCR: How did you come into contact with the work of Pax Christi? Chappell: I came in contact with Pax Christi from two different perspectives. At one time I was the president of the National Black Catholic Sisters Conference, which is located now in D.C. And at one point, Pax Christi had invited some of the organizations together to talk about looking at the whole issue of racism from a systemic perspective and wanting to see if we, as Catholic faith organizations, wanted to somehow collaborate on it. The other piece about Pax Christi is that I currently serve as co-chair of the Sisters of Notre Dame National Anti-racism team. And we have been working with Crossroads, the anti-racism group that works with Pax Christi, for 12 years. So, in looking at the four priorities of Pax Christi, one of the areas that specifically attracted me is the area that dealt with economics and racial justice. Because of my background in social work, because of my training with Crossroads and because I am an African-American woman, it really became like a natural fit to be for me to want to continue about the peace movement with an emphasis on justice. What unique voice do you think Pax Christi has to speak on racism? How can it speak for justice from multiple racial backgrounds? Well, number one, I think it’s commendable that Pax Christi has a Pax Christi anti-racism team. And that it has been in existence for several years. One of the challenges is to try to get that team much more involved with the four priorities, with respect to spirituality of peacemaking, with respect to demilitarization and disarmament, and global restoration, in addition to the economic and racial justice perspective. I want to try to get the anti-racism perspective and lens incorporated as we move forward with those priorities, and involving, particularly, more people of color to become more involved in these areas. We are a Catholic organization, so we really need to look at how we can involve more Latina and Hispanic Catholics. Certainly, the African-American community needs to be brought in the fold. And certainly, our Native American brothers and sisters. We need to find ways where those issues also become relevant to those communities in the places where they find themselves. It’s not just abstractly looking at these issues, but to try to connect the issues with the needs of those communities. So, how do we move it from theorizing and being abstract to the concrete, so that the ordinary person in the pew can begin to realize and make the connections that these issues are relevant and prevalent for us here in the USA as we continue to reach out to the world. On another topic, I know that your predecessor, Dave Robinson, had made an effort in the past years to get Pax Christi more involved in the policy discussion — moving the office to Washington, D.C., and teaming with other organizations there. How do you view that effort? Well, it’s my understanding that one of the reasons the Pax Christi national council went forward with the move was that they wanted to be able to be in a place where they would be able to collaborate with other national Catholic organizations. And Washington, D.C., certainly afforded that opportunity — looking at and collaborating with these issues with the national Catholic organizations here, whether it be NETWORK, the Center for Concern, the National Black Catholic Sisters Conference or those various organizations here. And with the other emphasis of really trying to draw in our Native American, African-American and Latina brothers and sisters because they have not really been part of this dialog. 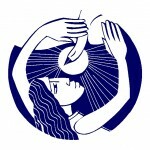 Another unique aspect of Pax Christi is all the different local groups the organization has — from Pax Christi New York to Pax Christi Southern California. What’s your vision for those groups? My vision first of all is to get to know the regions. There are over 20 regions of Pax Christi in the USA. I’d like to meet with regional leadership and to find out what are their priorities — because in different regions, priorities may be different. As they begin to identify those priorities, we just have to make sure that the anti-racism lens is brought to that conversation along with the Catholic social teachings. Because the two are compatible. It’s not a dichotomy. It seems sometimes that we seem to operate out of being fragmented and not making the connections. What I’m hoping to do is at least to help folks make the connections and to bring other voices into the dialog and conversation so that we truly represent the universality of the Catholic Church. How do you answer those that say we’ve somehow moved past the racism question in America, that somehow the conversation has ended? We know that there’s this whole philosophy out there that since we elected a black president, we’re post-civil rights in America. That’s simply not true. I find that institutional racism is alive now as much as it was then. In terms of individual actions, we might not see as much. But when we look at policies, we certainly can see remnants of institutional racism. Such as, in many states right now, laws related to voter IDs, where people have to prove they reside in the state in order to vote. Or when we look at what’s happening in our educational system, we see the disparities in the monies that the state gives with respect to education of our children. We continue to see that in inner cities, reservations and barrios, our children are still not being educated. And then when we look at the employment situation, people of color are still underemployed or not employed. So when we look at those statistics they are high in communities of color. It seems like some of what you’ve mentioned is connecting the dots between different forms of injustice. I know that, in the past, Pax Christi has been focused on military issues like disarmament or landmines. How do you connect the dots between those issues and racism? I honestly and truthfully believe that racism is part of all four priorities of Pax Christi. And I think it’s through education, dialogue and people having the opportunity to talk about these things together and trying to find common ground that we find out how we move forward.